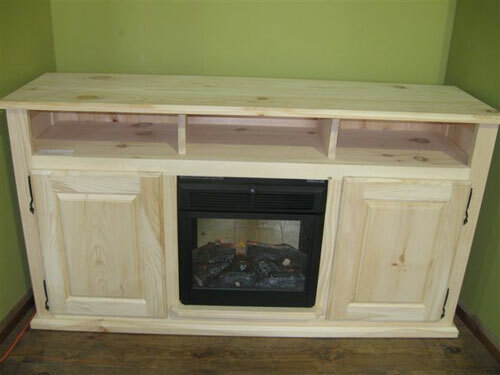 TV stand with integrated electric fireplace, 2 doors, top shelf. Large selection of dyes. 2 doors in paneling, central opening with tablet for other electronic device. 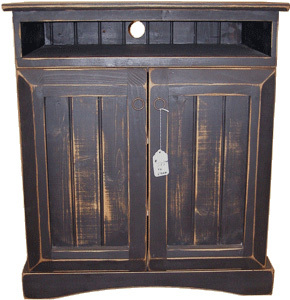 Add chicken-pin doors, add antique glass doors, choice of dyes. 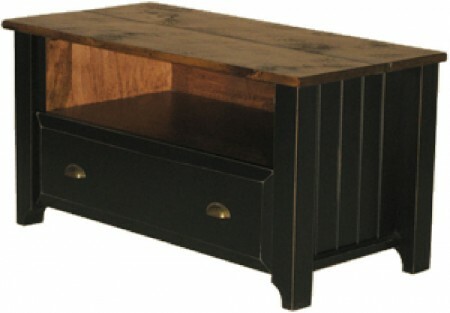 1 drawer, 1 opening on rustic plank, choice of dyes. 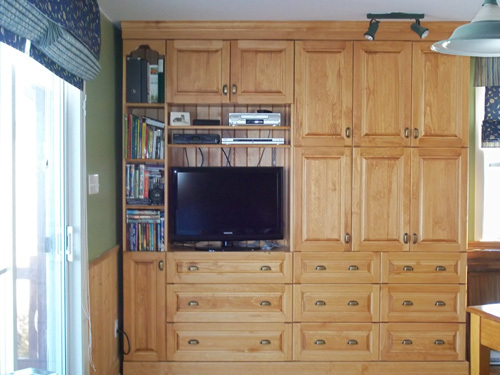 Rustic laminated maple top, 2 drawers, 2 sliding doors, choice of dyes. 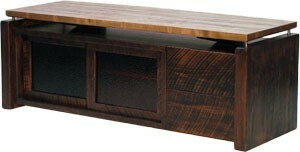 Custom-made wall and entertainment unit available in select red pine, unpainted, waxed or lacquered. 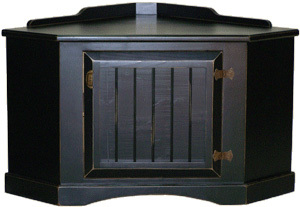 The model shown is pecan, lacquered finish.